Do you need to schedule a job or estimate? Whether your business has 1,000 square feet of tile or natural stone or 100,000 square feet of carpet, you have an enormous investment in the initial cost. The need to take care of this investment becomes clear as you start to witness premature wear and aging. At Gerlach Cleaning Systems, we are the authority in restoring and maintaining your business’s flooring. Recognized as the expert in the top three most sought out restoration procedures, Gerlach Cleaning Systems will select the best fit for your company or business; explain the benefits and tailor a program that maximizes your flooring maintenance budget. We currently maintain several businesses in Columbus and no matter the size of your firm, we promise to look at your project providing honest, sound and practical advice. Gerlach Cleaning Systems fleet of truck mounted hot water extraction equipment is the most technologically advanced HWE system available. We can extract problems that other companies would consider impossible. Our knowledge in chemistry and in the environmental sciences further ensures a safe and healthy working environment for your employees and customers. With the largest and most advanced fleet, we can custom fit a one-time cleaning or restoration maintenance program around your business’ working schedule. Don’t settle for anything less than being part of Gerlach Cleaning Systems family of commercial clients. Due to many factors such as security, access or project location, there is no “one-size-fits-all” answer, despite what you may have ever been sold before. High Performance Portable Extraction (HPPE) is another alternative that Gerlach Cleaning Systems offers to keep your project looking its best. Using only the most powerful portable systems available, Gerlach Cleaning Systems can utilize rotary extraction heads with the proper chemistry, and out perform our competitors “best” every day results. And we do it everyday, all day long. Our customers have always required something else from Gerlach Cleaning Systems. They’ve asked for, and been given, choices that best serve their individual circumstances. Our promise; no system we utilize will ever compromise your standards, our results and especially our relationship. Gerlach Cleaning Systems constantly educates its people and searches for better ways to meet our customer’s goals while providing the best results possible in every situation. How does encapsulation technology work? First we emulsify all the oil and physical contaminates within your carpeting, surround each molecule with an acrylic-polymer barrier that prevents it from reattaching itself to the fibers while drawing it to the surface using controlled evaporation. 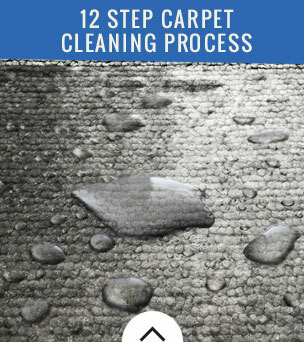 This immediately allows the carpet to return to its original orientation so that it looks its best, not just after cleaning, but between cleanings. 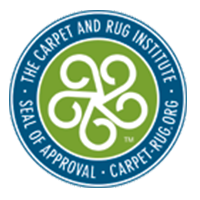 Approved by all major carpet mills, encapsulation cleaning could be the perfect option for your commercial grade olefin, polyester, wool or nylon surface. Give us a call if you would like to learn more about ET and you’ll be amazed to find out that you didn’t need to settle for the results you’ve been getting . There are better options. Ceramic tile and terrazzo surfaces are just some of the additional hard floor surfaces that Gerlach Cleaning Systems can help you maintain. 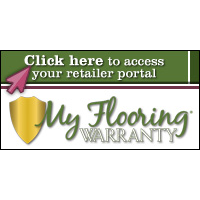 Our commercial accounts want and expect a company that is proficient at all its flooring surfaces. At Gerlach Cleaning Systems we are properly equipped, properly trained and have specialized employees to handle each of these surfaces on either a large or small scale. Whether you need a commercial face-lift or an on-going service contract you’ll want to consider Gerlach Cleaning Systems. 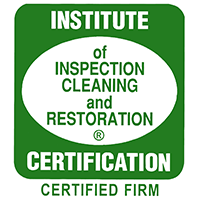 Put the power of an IICRC certified firm to work for you and see what a difference Gerlach Cleaning Systems can make. 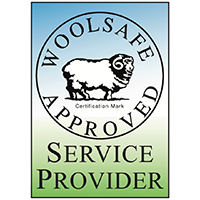 You can TRUST that we’ll treat you and your company with the care and respect that you expect and deserve. You can TRUST that we’ll work hard to accomplish the tasks that we’ve agreed to perform for you, on time, on budget and without compromise. You can TRUST that although we’re not perfect, our heart is always in the right place and if mistakes are made, we’ll resolve the problem without compromise to our relationship. If you’re just learning about Gerlach Cleaning Systems, then let us introduce you to a whole new level of results and relationship. 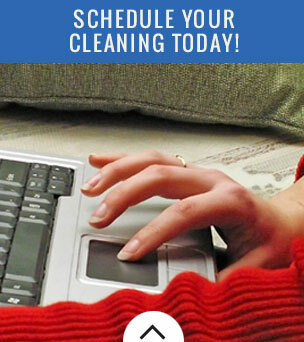 If you’re currently a Gerlach Cleaning Systems client, then thank you. Thank you for making us one of the fastest growing companies in the county and please know that Gerlach Cleaning Systems knows and understands that whatever level of success we have has been a gift from you.